I'm over 70 and have owned about eighteen Corvettes. I have no problem with people that make fun of older owners. What I will say to those that thinks it's funny. If your lucky you'll be a senior citizen who drives a Corvette, if not lucky you'll be dead. So make fun of old people with Corvettes and pray you'll live a long time and drive new Corvettes so you can be mocked too. A few unlucky young people won't make it to be old people, because they drive Corvettes. Damm, wonder what brought that on? I had 2 guys in a 600 plus Mustang pull up beside me on the interstate wanted to race. The one on the pass side finally side I was just a old white headed fart. I told him the least I will run for is 500.00 he said they didn't have it, I was just wasn't up to out running his car. I told him OK hit it when ever you feel like you are lucky. He did I just walked off from them almost like the mustang was just setting. They let off of it within a 1/4 I was so far ahead of them. I let them catch up with me. Cause the wife was behind driving het car, When the guys got up beside side me all I got was a big from both of them. After that I had to hear it from the wifey that I was just a over grown kid myself. But that was on the cell phone and just turned it off and all piece in the car again. C5 is a RHS 427 with a F1X blown on it small cam putting out almost 1200 rwhp. "Le Coeur n'a pas de rides" = The heart has no wrinkles. 71 years old and love my C7. No one beats old man time but no one has to give in either. You are not old. You just have a lot of experience with youth. I have had a vette since I was 18yrs old. I'm now 44 and some day I will be an old man with a corvette. i love it when people ask me if I bought my vette because of a mid life crisis. I say yes, I guess I've been having a mid life crisis since I was 18. I'll get the fast cars and fast life out of the way while in my youth because when i'm 70, None of these cars will be around then. I always remind my son that there are plenty of C5's & C6's that will smoke my stock Z, (and I'm OK with that), not to mention all of the other high performance cars out there. In regards to age and ability, I always think of "Bid Daddy" Don Garlits (an amazing guy, just wiki this guy), and currently John Force (age 66). I'll admit, I'm somewhat perplexed by some people's preoccupation with age. 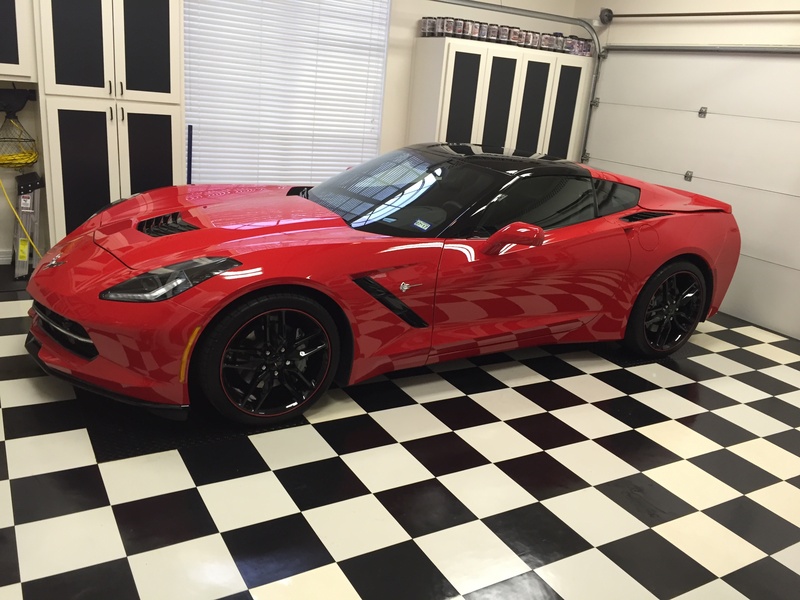 I'm on my 7th Vette starting with a 71 LT1 thru my current 2016 Stingray Coupe. Hit the elliptical for an hour and weights 7 days a week. Also tactical train twice a month with my 1911-45 caliber. By the way, I'll be 73 in October. I expect to have a Corvette till the day I drop dead or become delusional. What the heck, if I get dementia my wife'll take the keys and I can sit in the car and imagine I'm driving. Or Eddie Hill(also known for driving fast cars and fast boats, and is a record holder) that is a member on the Corvette forum. I'm going on 74 and Eddie is older than I am. On his worse day, Eddie could drive circles around me, even with me on my best day. Last edited by JoesC5; 04-17-2016 at 08:35 AM. You never know. I went through the 180 HP Corvette years(late 1970's) and the years that the Z28 had 145 HP(early 1980's). Only gasoline available was 87 octane. Back then, we thought the days of high horsepower cars was over. Last edited by JoesC5; 04-17-2016 at 08:36 AM. Here's the thing... Young guys see old guys driving vette and they are mostly jealous. Last edited by bcegaleace; 04-17-2016 at 08:42 AM.